We all know, hiring interns is a very different process to hiring regular employees. Many times, you can’t (really) look at their previous experience, only their potential. But it’s not about just making a gut decision and choosing the candidate with the most enthusiasm. 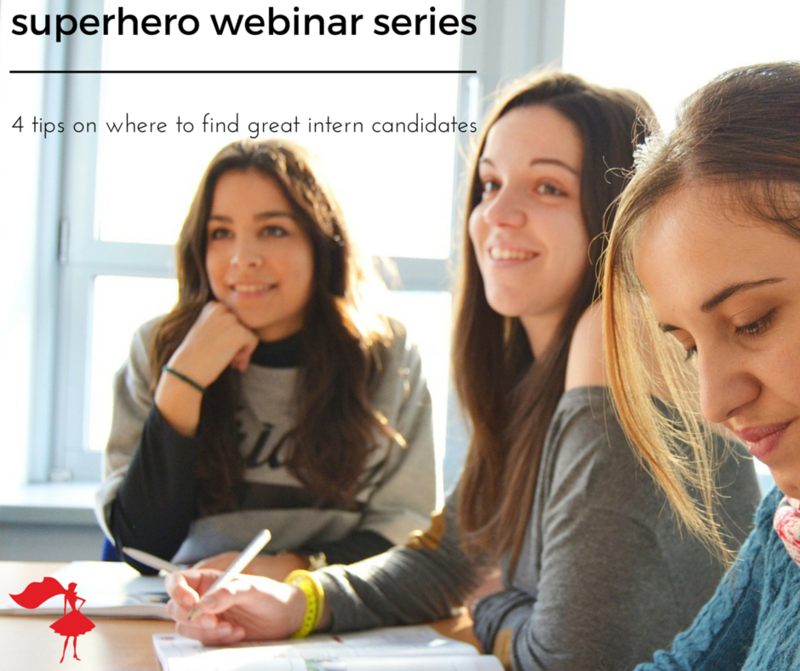 There are a few other things to look out for that can help you find your superhero intern. You might not have any candidates with any paid work experience, but do they have any experience volunteering for local charities or projects? If the answer is yes, you might be on to a winner! Volunteering demonstrates commitment and that the candidate is a well-rounded person who has heart and who can adapt to work on a project outside of their school studies. It’s likely that they have picked up some practical skills (like working in an office environment), too. Always, always, ALWAYS Google potential interns. You need to make sure that they present themselves appropriately online. The last thing you want is someone who talks inappropriately about their work, themselves and/or looks unprofessional. They might be representing your firm one day – if you can find something negative online about them, your clients can too. The other benefit is that you can see where their interests and passions lie. Are they sharing stories about the events industry on twitter? Are they involved with their local ILEA or SEPA chapter? Does their Linkedin page suggest that they’re actually interested in a completely different industry? HINT: you don’t want to be their back up plan. Have you ever come across any of your prospective interns at a networking event before? If the answer is YES – it’s a very good sign. The fact that they’re investing time and effort into getting to know others in the industry suggests that they are passionate and committed. Plus it shows initiative, confidence and an outgoing personality – a perfect addition to your team! Networking events are also a great chance for you to find interns. Don’t always expect them to come to you. If you strike up a conversation with someone who shows great potential, tell them about your internship program and invite them to apply! I know Mary has found lots of really great interns this way. 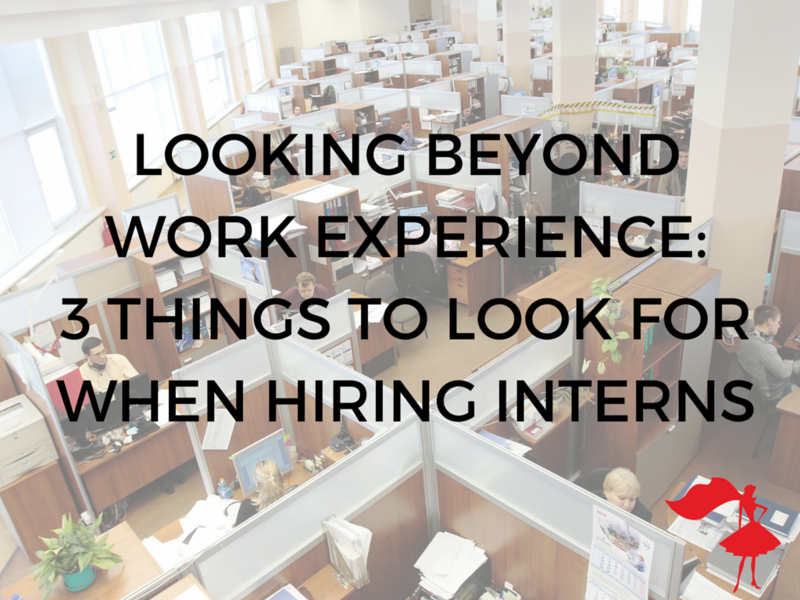 What do you look for when you’re selecting interns? Leave a comment below and share your best tips and tricks. Save time and minimize stress by training your interns to become superhero apprentices. Just $75/intern USD per semester for our custom-crafted training, guaranteed to get your interns up to speed with the way your firm plans and produces events. Click the button below to pre-order now for Fall 2016! planners – don’t get sued. You’ve got a to-do list as long as your arm, a client asking you for last minute changes AND a team meeting to get through. It’s not going to be a relaxing day. Most days aren’t (especially during busy season) – you’re an event planner! If training your interns stresses you out, you might not want to click onwards…because well, what we share next might scare you. Yesterday I was reminded of something really important. Look at the people you’re surrounding yourself with. Who’s in your tribe? We believe the secret to growth is by servings and mentoring others first. Empower your team with better training and you’ll find that you will multiply your team’s efforts and capabilities by 10x. But keep in mind, you must, must, MUST provide your interns a set training curriculum…it’s required by law. 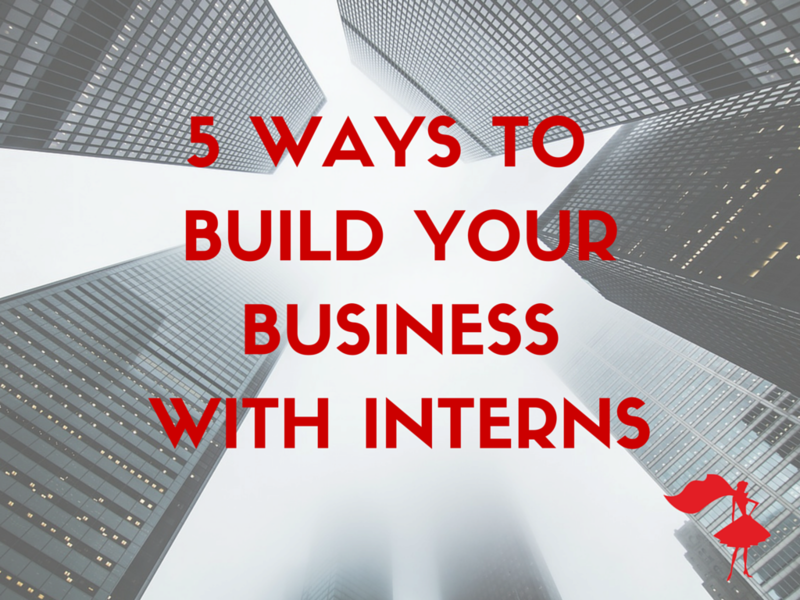 Therefore, we’ve put together 5 ways that having interns on your team is just good business for both sides when quality training is administered. It’s that time of year to start sorting things out for your company’s Fall 2016 internship program. I’ve been getting lots of questions on the topic, so, I’m commited to delivering a 30min webinar every Wednesday in June on Facebook Live to share everything I know when it comes to working with interns, to set you guys up for success. So tune in this Wednesday, June 1st at 9:30am central time and I will share all the very best tips in nailing this crucial part of your internship program! Simply visit this event page or The Simplifiers business page at the time of the event to tune in. Also bring any questions or challenges you might have when it comes to mentoring or working with interns and I’ll answer them on the spot!